It’s no secret that pizza is best when it’s paired with beer, so Durty Nelly’s Irish Pub is offering a pitcher of beer for only THB100 (USD3) with purchase of a gourmet pizza every Tuesday night. 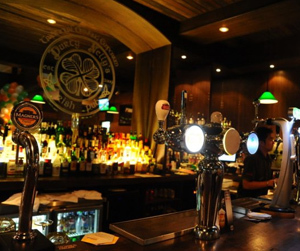 Durty Nelly’s is one of Bangkok’s best Irish pubs with live sports, great music, and a friendly crowd. The pizza and beer promotion is available every Tuesday starting at 4pm. Durty Nelly’s menu of gourmet pizzas starts at THB275 (USD9) and toppings include Irish ham and pineapple, roasted vegetables, prawn and chili, or char-grilled chicken and bacon. With the purchase of a pizza, a 2-pint pitcher of draft beer is only THB100 (USD3) with the choice of Singha, Asahi, San Miguel, or Heineken. 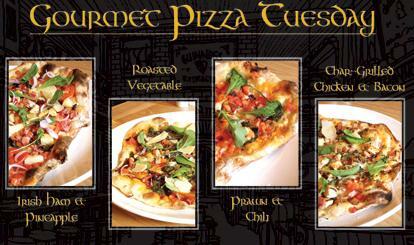 “Gourmet Pizza Tuesday” is an on-going promotion and is available until further notice. 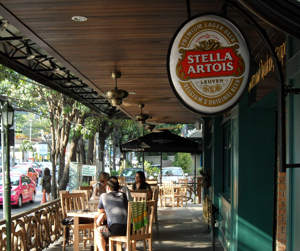 Located in the Sukhumvit area near the Ekkamai BTS station, Durty Nelly’s is known for its lively happy hours and impressive selection of imported spirits and beer. The pub offers 3 levels of entertainment with an outdoor area and traditional bar on the ground floor, relaxed sofa seating on the 2nd floor, and games like darts and pool on the 3rd floor. In addition to pizza, the menu offers hearty Western fare like fish and chips, meat pies, pasta, and traditional roast dinners every Sunday. 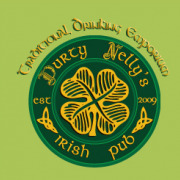 You can read more about Durty Nelly’s Irish Pub and their other promotions at http://durtynellysasia.com. The pub can also be contacted at (66) 0 2 714 2692 or by emailing info@durtynellysasia.com.